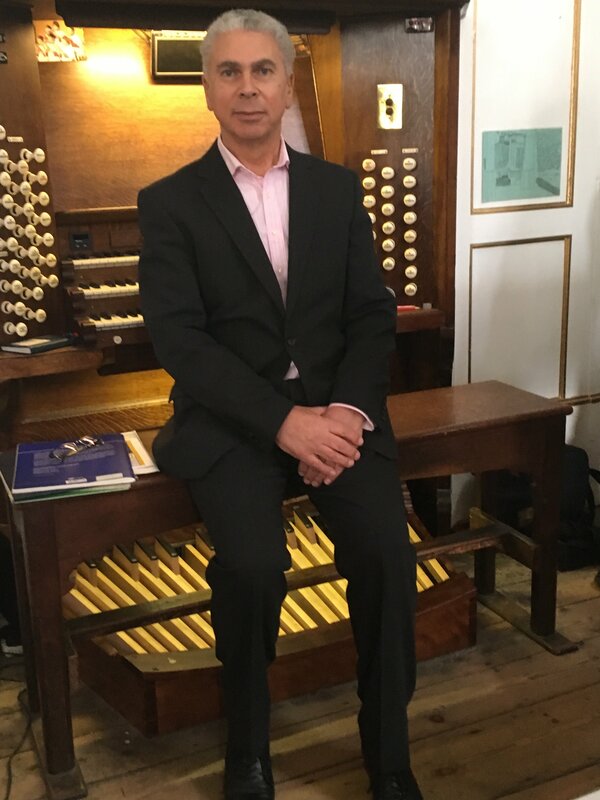 We are fortunate indeed that Oliver Macfarlane decided to retire in 2013 from his illustrious career with the BBC, in order to concentrate on playing the organ! And we certainly benefitted from that decision today when he played for us! His music programme was simply wonderful and we enjoyed all four pieces: from the rich complexities of the Bach, the 22 variations of the Pachelbel with its plaintive melody, the warmth of Thalben-Ball’s ‘Elegy’ and finally Widor’s, ‘Allegro from Symphony no 6’, which was truly tremendous! We are hugely grateful to Oliver for playing for us today: for his time, commitment and superb performance! Thanks too to Malcolm Keeler for taking on the important role of page turner!